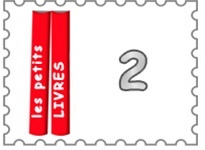 - add a year of storyplayr (French ebooks for kids) for a one-time fee of $44.99. With this rental plan, you receive two books and keep them until you are done. After you have returned them, we'll ship you two more. This plan is limited to 2 books per month. Need more books ? try our "4 books at a time- unlimited plan"
I stumbled on this website and decided to try it. I am not french- speaking but my kids are. They really enjoy the books les petits livres sends them.